Senate Committee on Business & Commerce this program is not currently broadcasting. Senate Committee on Health & Human Services this program is not currently broadcasting. Senate Committee on Intergovernmental Relations this program is not currently broadcasting. Conference Committee on HB 1 this program is not currently broadcasting. Senate of the 86th Legislature this program is not currently broadcasting. Senate Committee on Education this program is not currently broadcasting. Senate Committee on Property Tax this program is not currently broadcasting. To watch one of today's live streaming broadcasts, find your desired program to the leftabove and click the "play" button. Today's programs are listed by their scheduled start time. If you experience problems or you have questions about streaming video broadcasts, please see our FAQ page. For a list of recommended system requirements and other helpful information, please see these video streaming suggestions. You can find notifications of future public hearings and other Capitol events on our Hearings and Events page. If you missed a broadcast or would like to view a program again, you may access the complete archive at the Senate Audio/Video Archives page. Due to technical limitations, most out-of-town committee hearings and all "desk meetings" held on the Senate floor can not be carried live. For such events, audio recordings will be posted to the Senate Audio/Video Archive, as well as the relevant committee pages, as soon as possible. 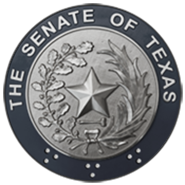 You may access the complete archive at the Senate Audio/Video Archives page.